The theory of catastrophes and synergetics, developed by mathematicians in the second half of the twentieth century (Haken in Synergetics. Introduction and advances topics. Springer, Berlin, 1978; Arnol’d VI in Catastrophic theory. 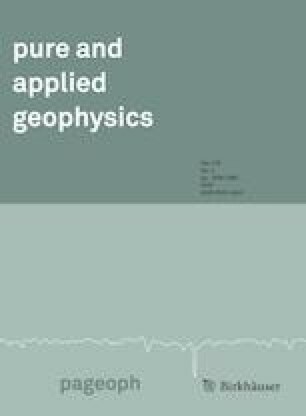 Springer, Berlin 2004), is used to analyze earthquake processes in active faults. It is shown that the oscillators of the seismic radiation are vibrating blocks at the border of the fault, and the source of the energy supply is the margin of the fault moving with the velocity V0. The input or loss of energy is regulated by a nonlinear element, the frictional force F(V), which depends on the difference V between the velocity of the fault margin V0 and the velocity of the seismic block vibration: V = V0 − dx/dt. Precise conditions for the occurrence of an earthquake, its attenuation, or the generation of a tectonic tremor in its source are formulated. The authors would like to thank two anonymous reviewers who thoroughly reviewed the manuscript; their critical comments and valuable suggestions were very helpful in preparing this paper.